The newest Microsoft ad just launched, and the venerable Jerry Seinfeld is nowhere to be seen. Seinfeld’s absence comes as no surprise, however, as news agencies have been all aflutter recently, posting that Microsoft had “pulled” Seinfeld from their ad campaign. Not so, says a Microsoft spokesperson, who called the allegations “preposterous.” Microsoft hasn’t “pulled” anything. This has been the plan all along. Seinfeld wasn’t the new face of the brand. He was merely one element in a much larger marketing initiative. Whispers from Crispin Porter Bogusky, the Colorado based super agency that recently won the Microsoft account and produced the spots, confirms this. Seinfeld was never hired to be a spokesperson. He was hired to do a job, and he’s done it. People have slammed the first two spots with Seinfeld suggesting that they prove how out of touch Microsoft truly is. Seinfeld is a man of the 90s, after all. 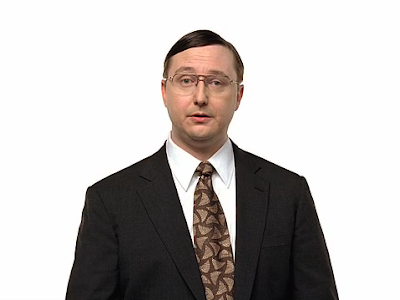 What’s he doing in a commercial in 2008 for a company desperately trying to reinvent itself? To that I say, you’re missing the point. What Crispin has done is brilliant. Not the spots themselves, per se, but the implementation of them. This campaign has garnered more media attention than any advertising initiative in recent history. News agencies and blogs (this one included) are all over this story. Hours of televised news coverage. Hundreds (I’m guessing) of articles online and in the printed press on whether or not the spots are effective. And here’s why that’s a good thing: it’s all free advertising. Clients would love to be in the news this much, to incite debate like this. But they’re criticizing the spots, you say. Well, not all of them, I say. Some people actually like the spots. They’re weird, yes. But they’re also unexpected. Last year’s Vista launch was a real steamer. This campaign is something totally unique. And I’d wager that most Americans still like Jerry Seinfeld. 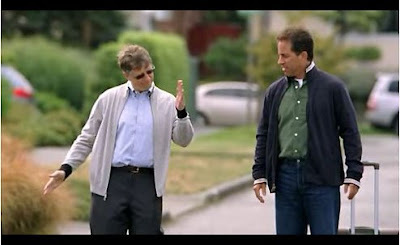 He still wears tight jeans and has a funny haircut, but who doesn’t like Jerry Seinfeld? Have we become that cynical? Have we become too hip for Seinfeld? I say, show me a Jerry-Seinfeld hater, and I’ll show you a depressed, jaded American. Here’s the bottom line. Microsoft is suddenly in the news again. The spots may not be the funniest thing going on in the industry, but they are funny to some extent. They’re doing more help than harm. After all, Bill Gates has long been perceived as a stiff, bizarre little fellow. Now, at least, he’s a stiff, bizarre little fellow who doesn’t mind taking a few potshots at himself. And considering how large and corporate a company like Microsoft is, getting work like this produced is nothing shy of monumental. I know from experience. Selling fresh, distinctive work is hard. Clients don’t like risk. Risk is bad. Risk is dangerous. And this work is incredibly risky. Bravo to Microsoft for having the courage to go with it. Which bring us finally to spot number three, the one without Seinfeld. Here Microsoft addresses the ad campaign that’s been kicking their trash for the past two years: the Apple/PC campaign, which in my opinion is some of the greatest advertising ever created. High praise, yes, but in my mind it ranks right up there with Wendy’s “Where’s the Beef?”. Timeless. Hilarious. Effective. I’m taking some creative license with the subtext, but you get my point. Then we’re introduced to a myriad of people, all claiming to be PCs, and who use they PCs for good, important, even hip, endeavors. A fashion designer. A geneticist. A scuba diver. An astronaut. 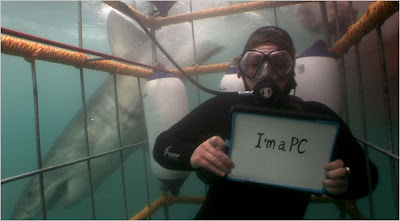 One PC even claims to blog for Obama. Ah ha! Take that, Apple! It’s a simple idea, brilliantly executed. I even like the tagline: Windows, Life Without Walls. Simple. Smart. And precisely the type of counterstrike advertising Microsoft so desperately needed. Now, will this make Windows relevant again? Will generation Y or Z (or whatever generation we’re on these days) toss out there sleek Mac laptops and run to Best Buy for a PC? Not likely. But the new spot does likely restore some of the confidence consumers have recently lost in the Microsoft brand. But it’s more of a strategically smart move than a creative revolution. We’ve seen this type of execution before. There’s nothing especially breakthrough about it. But it is the right thing to say; it makes sound strategic sense. It’s almost as if, after years of not touching the chess board and letting Mac slowly knock down a knight here and a rook there, Microsoft’s queen just took an agressive sweeping move across the board to suddenly get back in the game.